The areas tightening retail market, measured construction pipeline and heavily pre-leased deliveries have caused occupancy to remain at an all-time high. 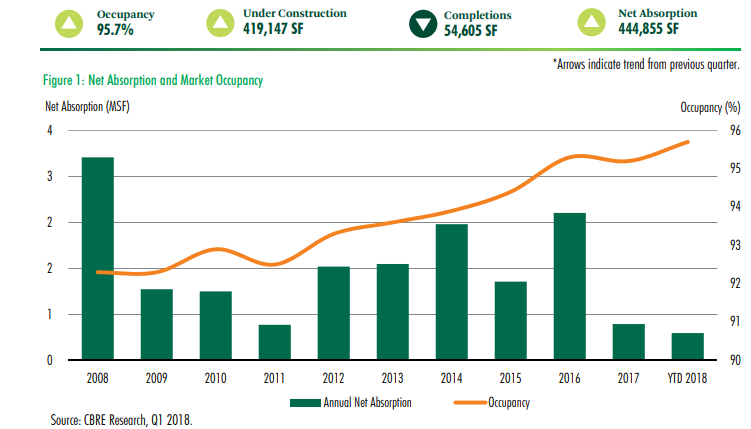 Strong developer-lender relationships, made up primarily of local and regional players with strong track records in the area, have allowed for projects to stay on schedule and a robust pipeline to continue. The San Antonio unemployment rate declined to 3.8 percent at the end of 2017, level with state-wide trends and a large improvement over the 7.5 percent rate seen in the area during the Great Recession. Health care and social-assistance hiring was robust, with 6,300 new jobs for the year. See San Antonio-New Braunfels Retail Market Research for other sources data.